Editors note: Not related, but American started service yesterday from the new Terminal 2 at SFO. The Cranky Flier has great tour of the new terminal on his site which includes a look at the new Admirals Club. Check it out. Now back to the regularly schedule show. 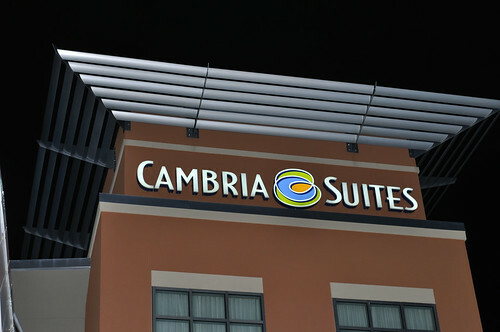 I stayed at a Cambria Suites in Oklahoma and it reminds me of a Hyatt Place property: clean, convenient, and a good value. More info here.